The season premiere picks up where the finale left off. Lois finds Clark’s lifeless body and removes the blue kryptonite enabling him to heal himself. However, Lois sneaks away before Clark fully awakens in order to protect his secret. Meanwhile, Chloe is desperate to find Oliver, so she turns to an unlikely source for answers. Jonathan returns to the Kent Farm with a message for Clark, and Tess awakens in a LuthorCorp lab. After Lois departs for Egypt, the Daily Planet hires a new reporter by the name of Kat Grant to take her place. An assassin named Deadshot takes aim at Kat but Clark learns the man has a dangerous hidden agenda that involves The Blur. Meanwhile, Carter Hall turns up in Egypt to keep an eye on Lois and he tells Lois about his wife Shayera. Clark is stunned when Kara returns to Earth and tells him Jor El sent her to stop the dark force that is coming because he doesn’t believe Clark can handle it. Meanwhile, Lois confronts Gordon Godfrey, a shock jock radio DJ who has been crusading against heroes, after he threatens the Green Arrow. However, after Godfrey is possessed by the dark force, he takes Lois hostage and Clark and Kara have to come to her rescue. 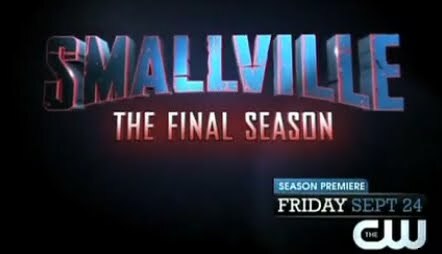 Smallville will be back on CW on September 24!